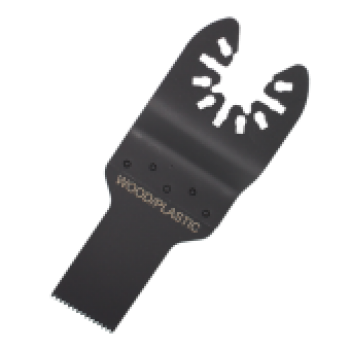 Use this Economy Saver High Carbon Steel Quick Release blade for clean flush cutting into hardwoods, plywood and particle boards. The fine teeth on this blade make it excellent for controlled cutting of plastics, sheetrock, fiberglass and other non metallic materials. This 3/4 inch wide saw blade is perfect for those smaller cut-outs. Use this persistent cutter on wood, drywall and plastics. The Q006HC is a 3/4" wide saw blade that is perfect for those smaller cut-outs. Use on wood, drywall and plastics.